My kids were eager to get out of the car when we arrived at the park. I lifted my stroller out of the trunk and set it up with my diaper bag, cooler, and water bottles. As I set my toddler into the stroller, the weight made my bags crash onto the sidewalk and our lunch spilled across the concrete. If only I had an extra hand to hold everything together. I buckled my son and strapped in my daughter before cleaning up the mess. 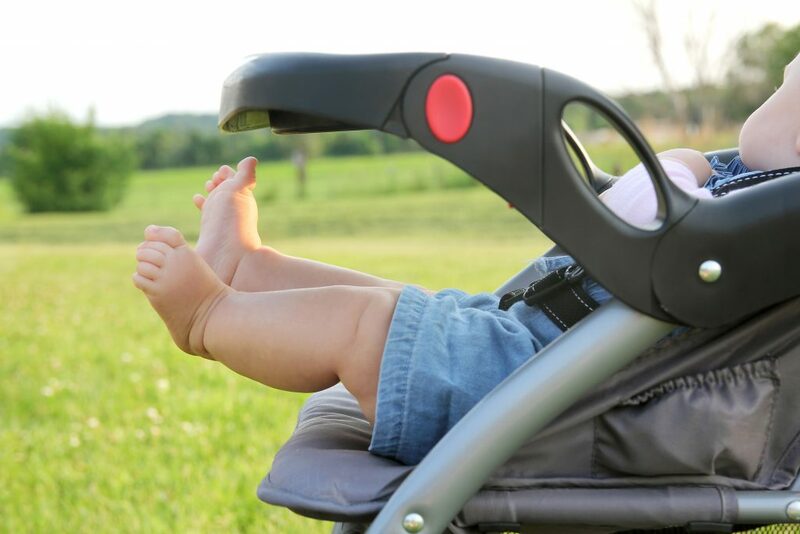 Thankfully, there is a way to make stroller outings easier for mama. This post was sponsored by The Mommy Hook. All opinions and content are my own. 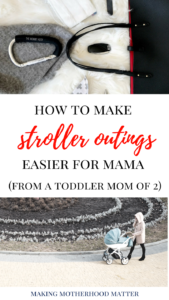 When I take my children on outings with the stroller, I like to have my hands free to catch my kids, get snacks, wipe noses, buckle shoes, etc. The Mommy Hook makes that easy to do because one hook can hold my diaper bag in place on my stroller handle. When we were traveling to Florida, we got caught in the rain. Thankfully we had an extra poncho and our Mommy Hook. 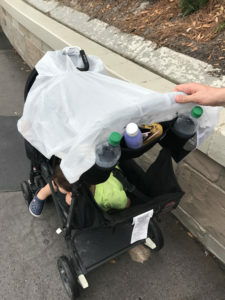 Because the Mommy Hook is so versatile, we were able to quickly spread the poncho over the stroller umbrellas and fasten the end with the Mommy Hook. When I go to the mall, I always keep my Mommy Hook clipped on my stroller so that I can easily hook my shopping bags into the hook. This makes it super easy to carry many bags at once, and still be hands-free. 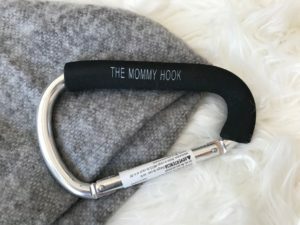 There are so many uses for the Mommy Hook because it’s lightweight and super strong. It’s one of my staples for stroller outings with my toddlers. What do you use to make outings with kids easier? P.S. 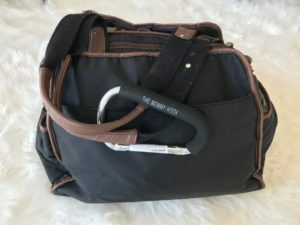 If you like this piece, you may also enjoy Practical Diaper Bag Essentials That You Actually Need. 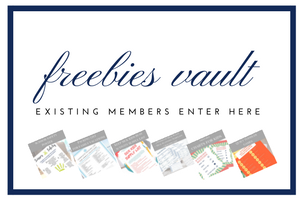 By keeping my diaper bag basic, I am able to stay more organized, find items quickly, and give my arms a break. Discover my 8 favorite must have diaper bag essentials. Oooh I have a Mommy Hook, love these uses for it! I love my mommy hook. It is definitely great for carrying all of the things that we need for outings with little ones. I LOVE the Mommy Hook! I buy it for everyone for baby showers now because it really does make life easier.